With Integrated Rental Services, you can rent continuous passive motion machines. 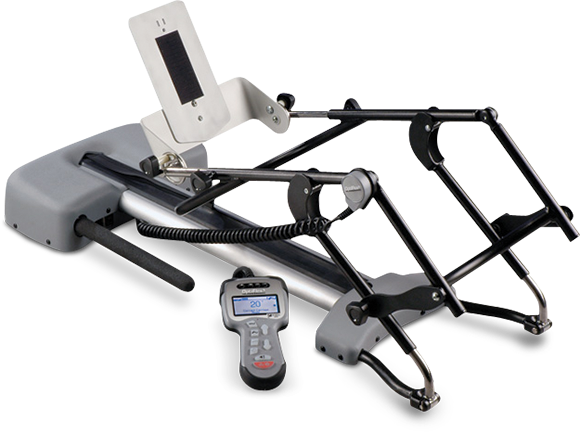 Progressive ROM – Eliminates time consuming adjustments by automatically increasing daily Range of Motion. Oscillation Zone™ – Allows more time spent in the "active" or "working" Range of Motion. Fast Back™ – Accelerates through nonworking ROM while knee spends more time in “active” Range of Motion. Comfort Zone™ – Addresses patient pain threshold by providing therapy at a reduced flexion angle limit.